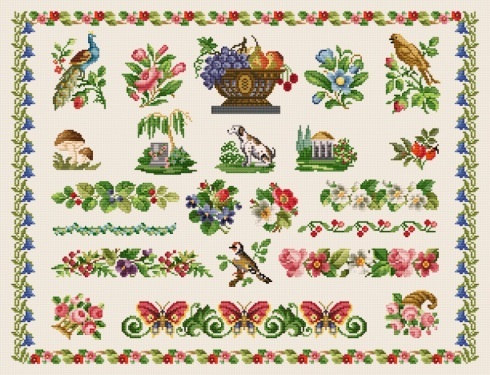 Antique Sampler in 12 parts, one part for each month in 2012. NEW!! The borders are now also available for Machine Embroidery!